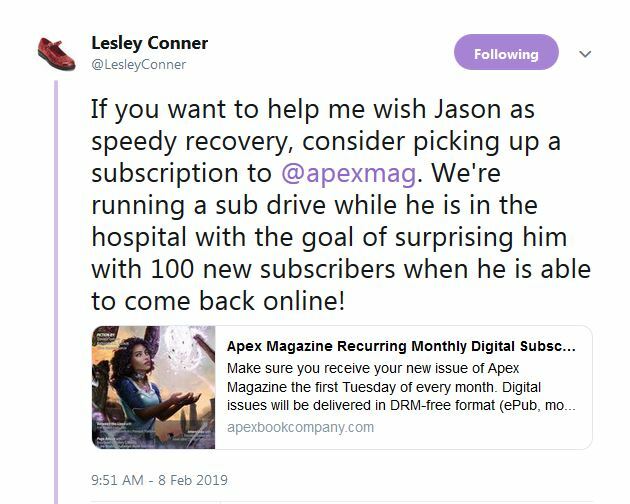 4 Responses to "Apex Magazine Surprise Subscription Drive!" I’ve only read a few issues of Apex but I loved them. It’s where I discovered Rebecca Roanhorse and Alix Harrow. Boating on my Twitter feed. Roanhorse and Harrow are both amazing! If you enjoyed Roanhorse’s Welcome to Your Authentic Indian Experience, have you seen (heard) this? Looks like you’ve had some fantastic opportunities.